Spring Holiday: The Associations offices will be closed on Friday the 19th and Monday the 22nd April. The Association has developed this web site to enhance the service that we provide to our service users and to enable feedback on the services we provide. You can use the site to obtain information about the Association, its purpose, the services it delivers, available housing, current jobs and up to date news. You can also use it to complete a housing application form online. The site also provides useful information about our community including services provided by other agencies , community groups and South Lanarkshire Council. Tenants can register an online account and this will enable you to pay rent online, view your rent statement, report a repair, change your household details and give feedback on the Associations service. We are keen to ensure that the site meets its users needs. If you have any suggestions on how it can be improved please feel free to let us know. You can do this through the 'Feedback' section. 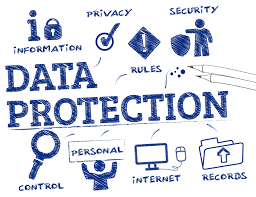 New Data Protection Regulations (GDPR) came into force on the 25th May 2018.